With only three two-day matches left in the season, it’s almost safe to say that Narre South, Dingley and Narre North will be playing Turf 2 finals this season. That other coveted spot is set to go down to the wire after an action packed day two leaves just six points from fourth to sixth position. Cranbourne managed to keep their finals hopes alive after a century to Lucas Ligt saw the Eagles defeat Parkmore Pirates at Casey Fields. 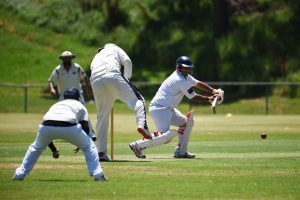 The Eagles entered the weekend in a strong position, sitting 4/80 in reply to the Pirates’ first innings total of 122, and crossed the mark still four wickets down, but looking to launch more runs through the day to set up a chance for an outright. As loyal as they come to the club, Lucas Ligt compiled a fine knock, reaching his maiden first XI century for the club after over 4000 junior/senior runs – as well as stints at Dandenong and Casey-South Melbourne – to score an unbeaten 103 off 175 balls, with the home side declaring in a dominant position of 7/221. Marty Kelly (1/9) struck first ball as the sixth-placed Eagles surged, but the Pirates managed to steady the ship to finish 1/60 at the end of play. The win sees the Eagles just six points adrift of Narre Warren in fourth, as they continue a stunning late resurgence after winning three of their last four matches. Narre North, meanwhile, easily accounted for Narre Warren in a one-day match after last week’s opening day was called off. The Rams compiled 6/223 off their 40 overs, with Josh Henry (63) continuing his brilliant form with the bat, while fellow opener Kyle Hardy (45) also found some more runs. The Magpies looked steady enough early, but a middle order collapse – sparked by a brilliant spell from Stephen Ryan (4/18) – saw them fall 7/80. 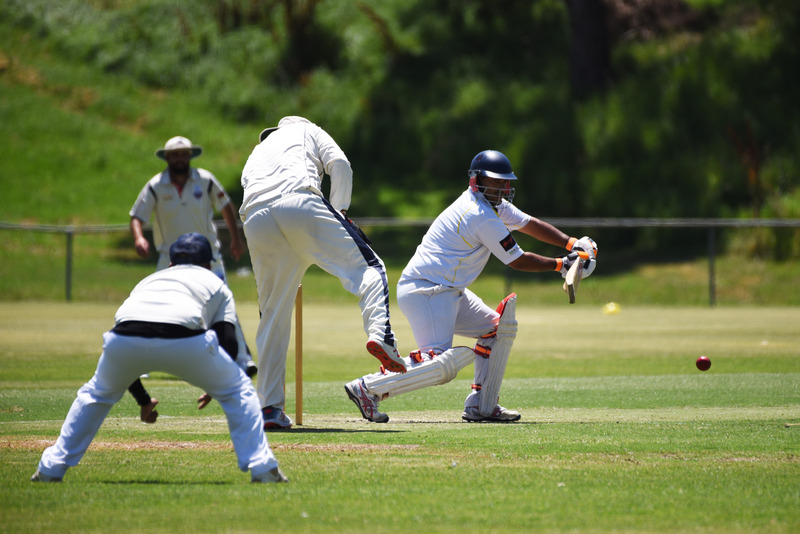 Despite a crunching half century to Sanjeewa Weerasinghe (61), the Magpies were restricted to 9/173 off their 40 overs. Dingley’s premiership hopes continue to climb, after dismantling Dandenong West at Souter Oval. After racking up 9/306 the weekend prior, the Dingoes rolled the Westers for just 134, with Calvin Barlow (6/46) and Christo Otto (3/43) in brilliant form with the ball. The Dingoes made the Westers follow on, and it very nearly paid off, with the visitors soon finding themselves 3/30. And Narre South (9/252) were a class above St Brigid’s/St Louis (88) on day two. After already claiming the points on day one, the Lions elected to spend the day at the crease, with Joe Thomas (66), Michael Ritchie (38) and Jawed Hussaini (41) backing up Morteza Ali’s (48) dominance from the weekend before. Facing his old side, Kevin Baldsing made Silverton pay. The Beaconsfield recruit – taking on his old side – crunched a spectacular 114, a knock featuring 15 fours and a six, to give the Tigers a much needed victory. Kevin Baldsing plays the ball square during his century for Beaconsfield. Chasing just 147, the Tigers resumed at 0/21 but soon found themselves 3/42, before Baldsing and his skipper Matt Golding (59) got together. The pair put on a 135-run stand to take the game away, before batting on and finishing on 9/279. Michael Klonaridis (6/88) was simply sublime for the Bakers and fought hard all day during his 25 over spell. The important win sees the Tigers climb onto the top of the Turf 3 ladder after a brief quiet patch, just shading Lyndale by a matter of percentage. While on Lyndale, the Cougars banked a huge victory over Keysborough at Rowley Allan, holding off the Burras in a terrific bowling display. Setting the home side 216 for victory after batting all of day one, the Cougars were met by a sublime knock to Jackson O’Brien (95), who withstood the heat as wickets tumbled around him. O’Brien kept scoring amidst the pressure, but his dismissal – run out just five short of a ton – seemed to be the last hope for the home side. Keysie – in a spot of bother at 7/159 – fought hard to get back into the contest, with Tobey Harkin (25) and Matthew Moore (23) drawing the home side closer, but in the final over of the match, Yohan Soyza (4/67) struck to leave them just short on 208. Chanaka Wijewardena (4/50) was also outstanding for the visitors. Coomoora also snared a win, dominating Fountain Gate at Max Pawsey Reserve in a rescheduled one-day fixture. 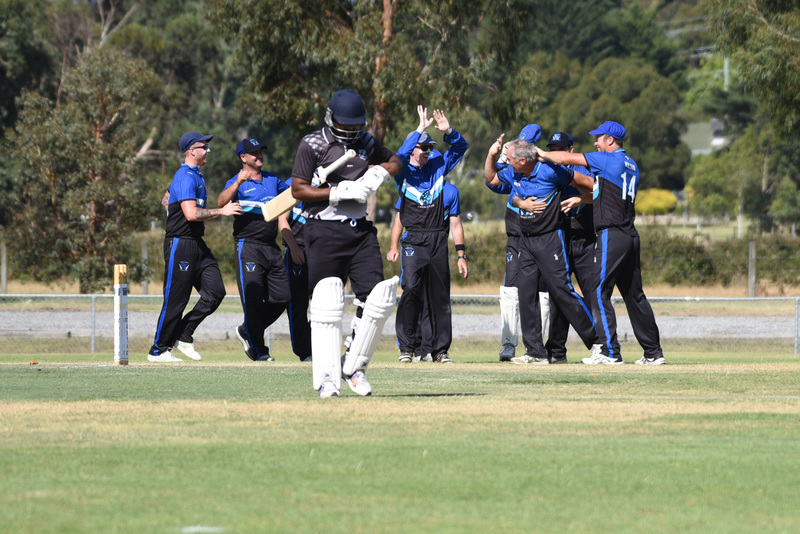 The Kangaroos scratched their way to 146, with skipper Lance Baptist (40) and Denham Pereira (43) batting well, but did a fine job with the ball, rolling the Gaters for just 89. Dylan Jacotine (4/15) was the star with ball in hand, while Daniel Robinson (35) fought a lone hand for the Gaters. And Parkfield (133 and 5/97) picked up a strong win over Lynbrook (116 and 5/164) at Marriott Waters Reserve.